1. Hawaii $875K – With limited space it’s not hard to see why homes are in such high demand. However, I forget about Hawaii a lot and I wasn’t expecting it to top the list. 2. New York $690K – Not a total shock. Although I thought NY was going to top the list. Buying a home the city is so expensive that HGTV has an entire show devoted to it. (Selling New York, Thursdays at 9:00 pm) I suspect that without the demand of NYC real-estate Connecticut and New Jersey would be much lower on the list. 3. Washington DC $656K – My only surprise is that DC is in the top 3. Maybe top 10, but I expected California to be in this position. However recent articles have talked about the continued boom of real estate in and around the nations capitol. 4. Connecticut $583 – Go CT! Top 4! Although cities like Hartford, Waterbury, and Bridgeport offer large homes at low prices, most of Connecticut is made up of smaller towns with high value. Example: Greenwich, Avon, Simsbury, and Darien. 5. California $566K – Like I said, I thought California would be in DC’s spot at #3 with all the million dollar listings covering the state. However, smaller states have an advantage of size. They do not have larger numbers of cheaper homes to bring down the average. 6. Massachusetts $534K – Boston is expensive. Boston is also small. 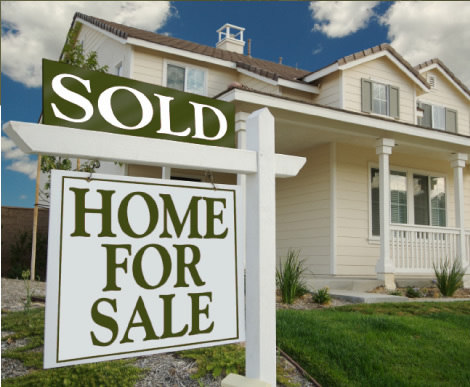 The two factors combined consistently drive up home prices. Here again shows the advantage of smaller states. 7. Wyoming $542K – WTF? Where did this come from? The only thing I can assume is that only 4 homes sold last year and one of them happened to be a $10 million ranch that threw off the average. Wyoming has more cows then people. Really. 8. Colorado $482K – I don’t know much about Colorado other then it’s cold there. So I can’t say this is shocking or not shocking because I don’t have much to base it on. Although it’s one of only two western states to be in the top 10. 9. New Jersey $441K – I was stunned to see New Jersey so low on the list. It’s small and next to New York…a winning combination. Although high population density and it’s distance from Manhattan doesn’t add up as much as I thought it would. 10. Rhode Island $435K – This was another shocker. I don’t think of RI as being expensive. In addition the housing market crash hit the ocean state hard. Yet again, I think it’s small size helped it climb the list.